Brock Holt was at first base replacing an ailing Mitch Moreland. Unfortunately, it was his error in the ninth that let in the winning run in a crushing 5-4 loss to the Indians. 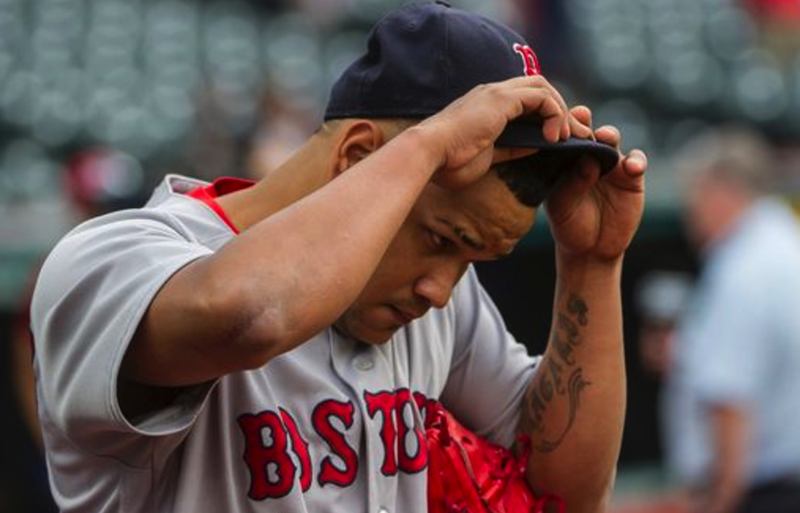 But, this game really came down to a puzzling managerial decision by John Farrell—ahead 4-3 to use Matt Barnes and avoid Addison Reed, Brandon Workman and Craig Kimbrel (one of which he did use, another he intended to use in extra innings) with the game on the line. Wasted in the loss were two two-run HRs—one by Andrew Benintendi and one by Hanley Ramirez—and another decent outing by Eduardo Rodriguez. Chalk this one up as a bad managerial loss. No biscuit.